Gorgonzola is the most popular Italian blue cheese because it is a very mild cheese. 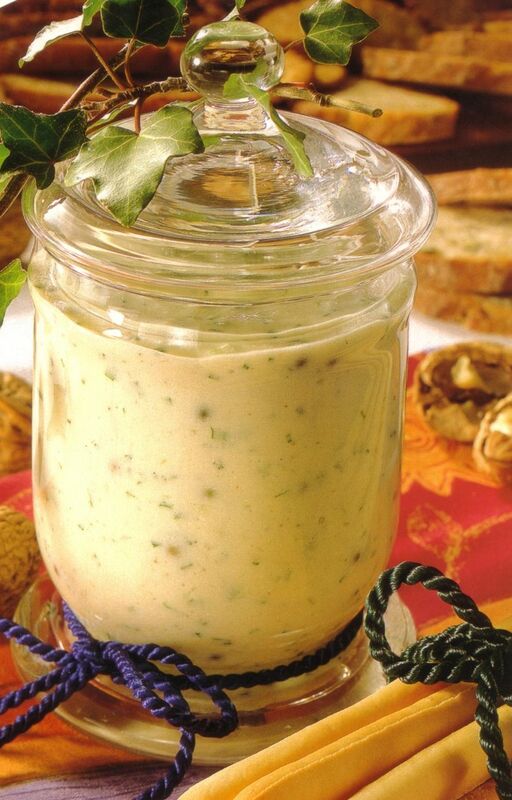 For the Gorgonzola dip recipe you will use green pepper and chives which will add some nice green color; the pear schnaps and onion will add some exotic taste to it. Fill the dip into a pretty jar and serve it for example with with Italian Grissini or pita crackers. This dip will make a nice party gift as well. Happy Cooking! - Cut cheese in small pieces and put them in a large bowl. - Add heavy cream and with a hand mixer puree until you have a smooth cream. - Cut chives in small rolls; chop onions very fine. - Add chives and onions to the cheese; mix it then add pear schnaps and green pepper. - Mix thoroughly and spice with the paprika. - Fill the cheese cream into a nice and clean jar with a lid.